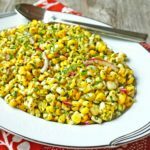 Curried Quinoa and Chickpea Salad with Carrots, Apples & Raisins – colorful and full of flavor, this quinoa salad is a great dish for your next barbeque, potluck or picnic. It is also wonderful as a light meal on it’s own. We’ve been enjoying a streak of gorgeous spring weather here in Massachusetts. 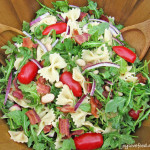 And, I’ve been sharing some of my favorite warm weather dishes these past few weeks, including this refreshing Chilled Sweet Pea and Mint Soup and this delicious Bacon Arugula Tomato and White Bean Pasta Salad. Another of my favorite warm weather dishes is quinoa salads. And, today I’m sharing this wonderful Curried Quinoa and Chickpea Salad with Carrots, Apples & Raisins. I love quinoa. It’s a super food, packed full of protein and fiber, and has a wonderful nutty flavor. It also absorbs other flavors nicely and lends itself to a variety of preparation including all types of cold salads. This Curried Quinoa and Chickpea Salad with Carrots, Apples & Raisins has such a wonderful combination of flavors and textures. The warm spices of cumin and curry pair nicely with the nutty quinoa and creamy chickpeas. The carrots and apples provide crunch. The raisins add a touch of sweetness. The herbs and lemon vinaigrette provide freshness and a bit of tang. Altogether, this Curried Quinoa and Chickpea Salad with Carrots, Apples & Raisins is full of color, flavor and is so delicious. This colorful Curried Quinoa and Chickpea Salad with Carrots, Apples & Raisins can be made ahead of time, keeps well in the refrigerator and is a great dish for a barbeque, potluck or picnic. This pretty salad — on it’s own, or paired with some salad greens — is also wonderful for a light meal on a warm spring day or anytime. Do you have a favorite quinoa salad? Please let me know in the comments below! 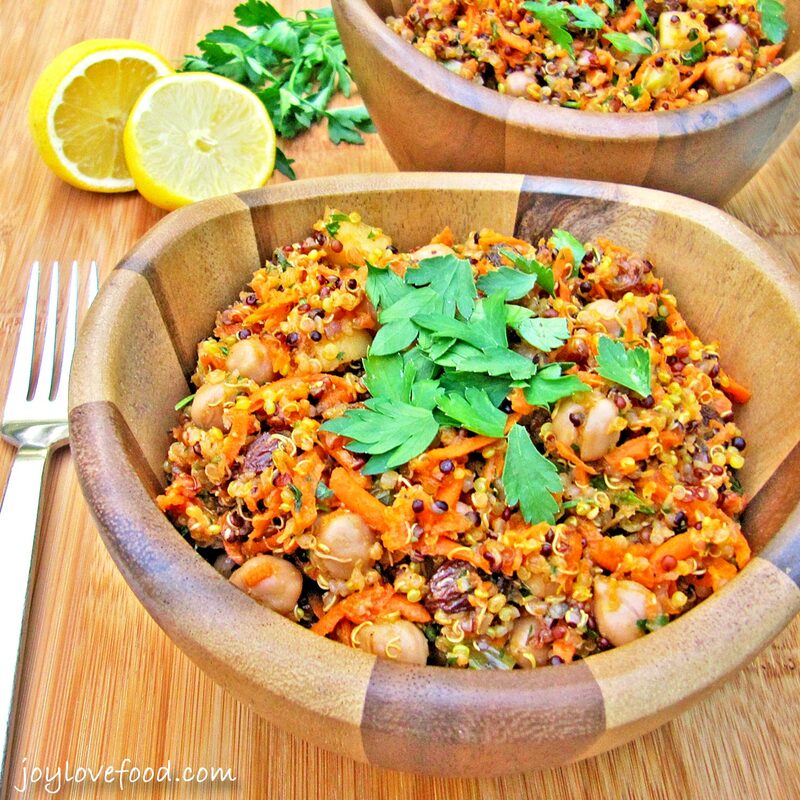 Curried Quinoa and Chickpea Salad with Carrots, Apples & Raisins - colorful and full of flavor, this quinoa salad is a great dish for your next barbeque, potluck or picnic. It is also wonderful as a light meal on it's own." In a medium saucepan, combine quinoa, water, curry, cumin and salt. Bring to a boil, cover, and then simmer on low heat for 15 – 20 minutes, until liquid is absorbed. Fluff quinoa with a fork, cool and transfer to a large mixing bowl. 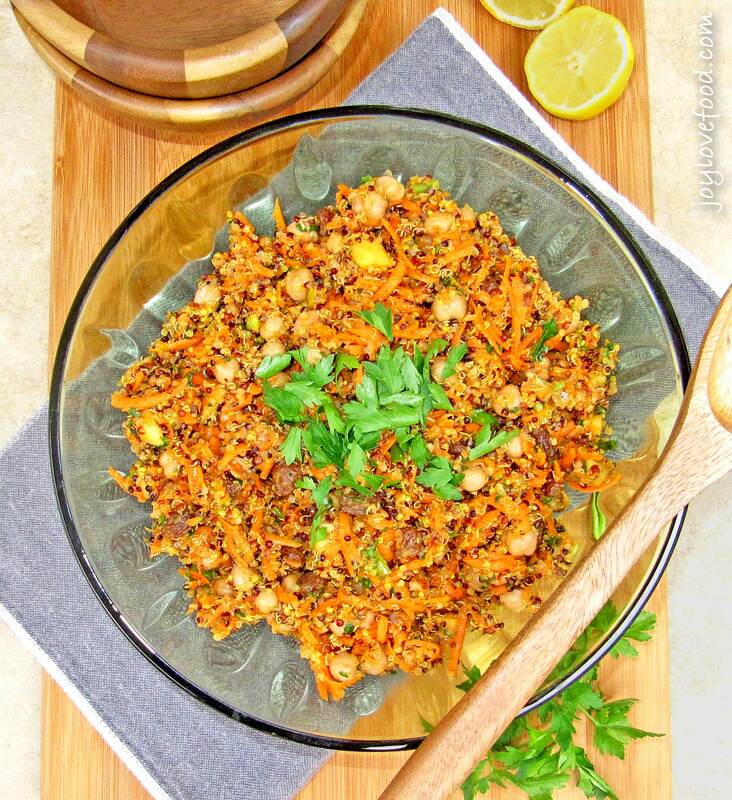 Add chickpeas, carrots, apples, raisins, green onions and parsley to the bowl with the quinoa. In a medium bowl, whisk together, olive oil, apple cider vinegar, lemon zest and lemon juice to make a dressing. Add dressing to quinoa mixture and toss to combine. Season salad with additional salt and pepper to taste. 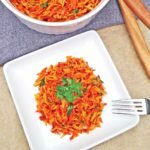 This entry was posted in Main Dishes, Salads & Sides, Vegetarian and tagged apples, BBQ, carrots, chickpeas, curried, curry, gluten free, picnic, potluck, quiona, raisins, recipe, salad, spring, summer, vegan, vegetarian. Thanks Winnie! It is really a great combo! Yum! I don’t eat much quinoa but want to change that so this recipe is on my must try list! Pinned and tweeted. Thanks for sharing at Merry Monday! This is going to be one of my features this week. Hope to see you again Sunday night! Thanks for the feature Chelc! Hope you give this a try and enjoy! Yummy Joy!! Thanks for sharing on My 2 Favorite Things on Thursday!! Hope to see you tomorrow! Pinned! Elaine recently posted…Chipotle Lime Shrimp over Spanish Rice! I remember New England spring and fall. Both were beautiful! This is one delicious, healthy salad! Yum, this looks so delicious! I love quinoa and am definitely adding this to my list of dishes to make! Pinning, thanks for sharing! Visiting from the Friendship Friday blog party. Hi Jody, thanks so much for coming by and for the pin! I hope you give this salad a try an enjoy! We love cooking with quinoa too. This salad looks really interesting. The curry is a new twist for me! The ingredient blend you’re using looks delicious! Thanks Diane! Curry is wonderful with quinoa, hope you give it a try and enjoy! Thanks KC, hope you give this a try and enjoy! This looks so healthy and delicious Joy! Pinned and shared! Hope to see you on Saturday! Thank Kathryn, I hope you give it a try this summer and enjoy! Thanks Sara, I hope you give this a try and enjoy! This looks like such a fun salad. I love chickpeas and quinoa together. Thanks Lydia! I agree, quinoa and chickpeas are a great pairing! I love the ease with which this gorgeous salad is put together. You are spot on…it is great for all gatherings! I love quinoa. this dish is so pretty! Christina recently posted…How to Fight Slugs Naturally with Diatomaceous Earth and a GIVEAWAY! Thanks so much, I hope you give this a try and enjoy! this looks like such a healthy and filling vegetarian dish. I would never think to put raisins in quinoa but I tried it recently in a few other recipes and it really is fantastic! I’ve used dried cranberries and thought would probably be good in this too! Thanks Emily! Dried cranberries would be wonderful in this! I love quinoa salad and curry chickpeas. Put them together and now we have fireworks. Thanks for sharing! I could eat these kind of dishes everyday. Sounds delicious! Thanks Denise, me too, I would happily eat this kind of dish every day! I ENVY New England Spring. You guys have the best fall and spring weathers. This is now my favorite type of quinoa salad. Thanks Rini! When it finally arrives, I do love spring in New England! I love curried chickpeas in just about anything, but I would’ve never thought of adding apples and raisins. This looks wonderful. Thanks Katherine! I love curried chickpeas too and they are indeed wonderful with the bit of sweetness from the apples and raisins. Wow, the colors really drew me in and now that I see the list of seasonings – WOW. Sounds amazing. Thanks Christine! The colors and seasonings in this salad are indeed wonderful! What a terrific salad! I’m such a fan of quinoa and always looking for new recipes. I bet you could add the leftovers to a wrap and have a whole new meal! Thanks Debra! Using the leftovers in a wrap sounds like a fantastic idea! I yum! Any dish full of wonderful spices and all those flavors, I am so for! Thanks Rebecca, the flavors and spices are indeed wonderful in this dish! Hi Merlinda, I hope your husband gives this a try and you both enjoy! That looks delicious and different making my mouth water haha! Yum! What an interesting sounding salad. I bet it would be a perfect side in this warm weather! Thanks Carlee! 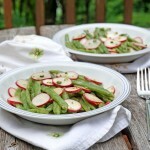 It is indeed a great salad for this warm weather, I think I may make another batch this week!